We value our patients' experience at Tri County Chiropractic. If you are currently a patient, please feel free to complete the following Client Experience Questionnaire. The Questionnaire is in Adobe Acrobat format, and requires the free Acrobat Reader to view. The doctor and her staff will take amazing care of you. I put my body through a lot. The treatment I receive not only allows me to perform at my best, it also greatly helps in my recovery and healing. I walk out feeling amazing and ready to go. I have no doubt my performances have improved as a direct result of their care. provided great treatment. Highly recommend. adjustment as usual. I got a surprise when I checked in.. I won a free massage ... one happy girl here !!! "During my pregnancy both Dr Treacy and Dr Jess have been keeping my low back pain and discomfort away. They also treat me like I'm more than a numbered patient, and I truly appreciate that." back. I'm finally feeling like myself again, thanks to the TLC at TCC! my regular health maintenance, I need less regular doctor visits." we're still a work in progress but pain is a near zero most days and muscle tightness is decreasing." lessened. We're told by specialists to keep doing what we're doing because it's working." doctors and staff at Tri-County are top notch, knowledgeable, kind, compassionate and friendly." Dr. Jess. Everyone on staff is so helpful." pleased me in the course of my treatment." "This is the best chiropractor I have every been to!" "Great staff and wonderful doctors. But mostly being pain free from my back pain". "When I leave the office I'm completely relaxed and feel good". "I have been relieved of the severe pain that I had in my shoulder and neck. I have learned stretches to help continue the improvements. I would and have recommended Tri-County and chiropractic care. I have been most pleased with the treatment from Dr. Treacy, Dr. Jess and the entire staff." "I especially love the "environment" here at this practice." "I can now turn my head left and right, sleep through the night and wake pain-free." "I don't have the pain in my shoulder and arm. Dr. Treacy really helped me and I'm happy to come here and have her. -Thank you! "I am a long term patient at TCC in Pottstown and I have never felt better since beginning regular maintenance adjustments at the office. The staff and doctors are wonderful. They greet you when you enter the office, take care of you in a promptly manner never leaving you waiting, and the adjustments are the best!" 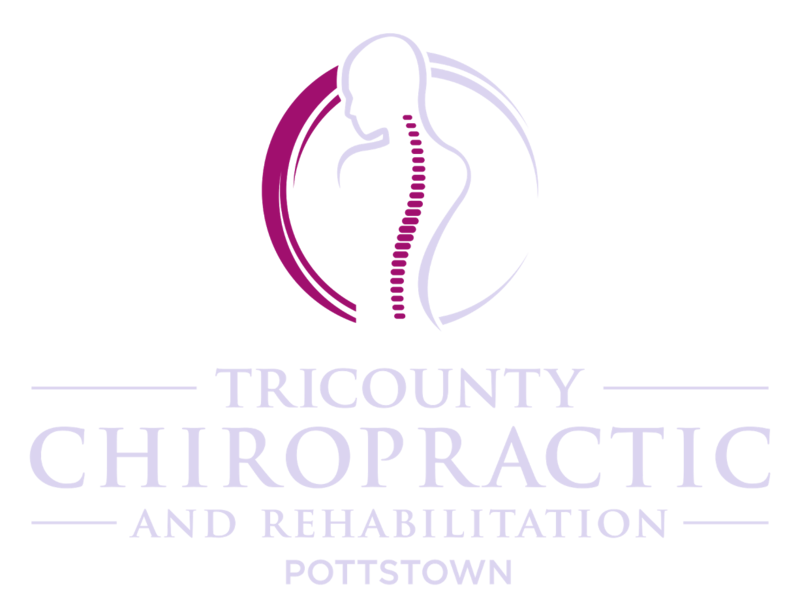 "Before my first visit to Tri-County Chiropractic I was very stiff and had back pain due to my MS. I had an aggressive schedule of appointments in the beginning but could feel a difference into my second week of visits. I am currently on a once a month schedule. My mobility and stiffness has improved tremendously. I look forward to my monthly visit to keep me in shape." "Thanks, you exhibited great touch and care when treating me. It's rare to find a Dr. that takes the time to listen to you before diagnosing and treating you. Your approach to health is not only great for treating pain, but also keeping you pain-free. "I've been to a few chiropractors over the years. Once I found you, my search for excellence was complete; I've been a loyal patient ever since. She has helped me through many difficult and painful times, and always with grace and compassion. She's the best!" "After being involved in a car accident, I began to feel back pain. Working at a computer all day also seems to have contributed to the symptoms caused by the accident. Since coming to your chiropractic practice, my condition has improved greatly. In fact, I feel better than I ever felt before." Thank you Robin! Your time is important to us. We have worked very hard to improve our efficiency while still providing quality care. Great to here from you!! June, thank you for your recommendation and thank you for your trust. We feel fortunate to have patients like you! Thank you Jen! We are always happy to help . Your recommendation means so much to us. Thank you Lorraine! We are so grateful for you taking the time to share these kind words. Your review has brought a smile to our faces and we look forward to providing you with the best care possible! Thank you Alan! This means so much to us, we feel so blessed to have patients like you and Judy! Yvonne, We are very fortunate to have a very talented and thorough staff. And very grateful for patients like you!! Thank you! Thank you Jeanne! We are happy to help. Chiropractic helps with a variety of problems...not just the back!